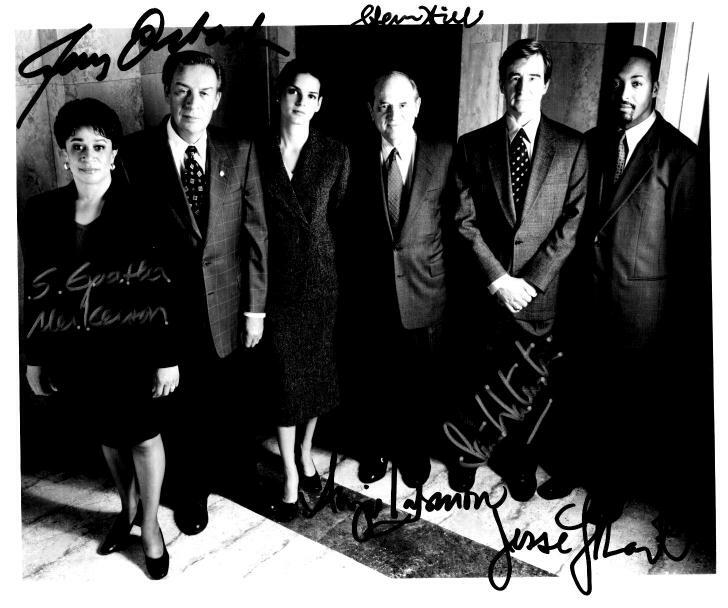 The cast of Law and Order from the 1999-2000 season. All signatures are on the photo and hand-signed. Purchased from The Minorities in Broadcast Training Program and certified authentic by the studio in 1999. Scott Bakula of Quantum Leap and Enterprise. Autograph purchased from Autograph World. I've been practicing photography with my digital camera. Click here to check out some of my photos! 1. I think I have a pretty nice collection and want to display it. 2. There are many forgeries on the market, mostly on Ebay, and I would like to put up authentic signatures for people to compare items to before they buy. Remember that the only way to be 100% sure an autograph is authentic is to get it in person. 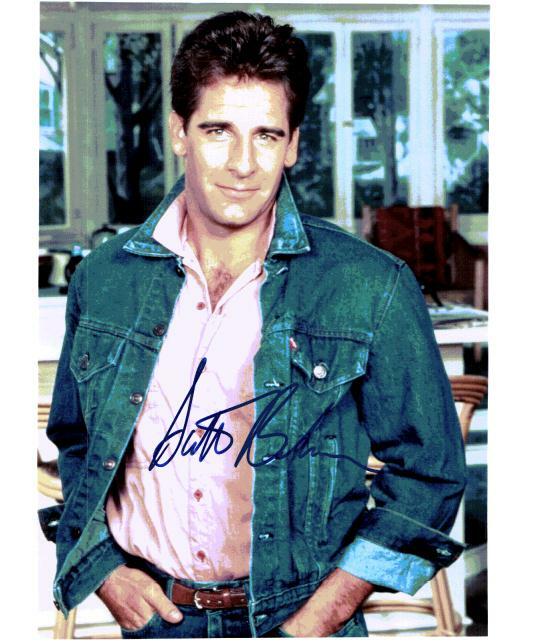 Any autographs on my sites that are listed as "purchased" are from sellers who I or others have researched and who sell only authentic autographs. Please make use of the site index to help you find particular celebrities. Also, check out my links page which contains links to other sites that may also be useful. 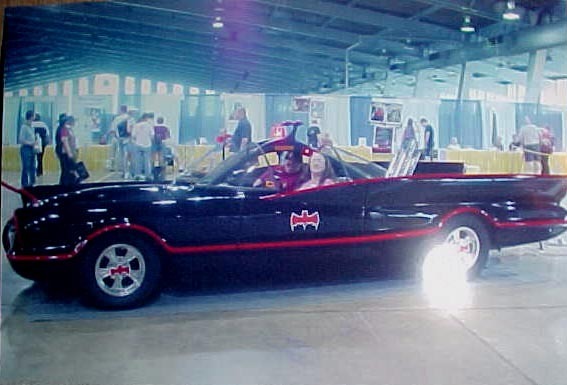 Loved riding in the original Batmobile-yes, it is the real one from the 1960's TV series, and boy is it big! Tom Cruise from Interview with the Vampire. Autograph purchased from Autograph World. Sorry for scan quality. 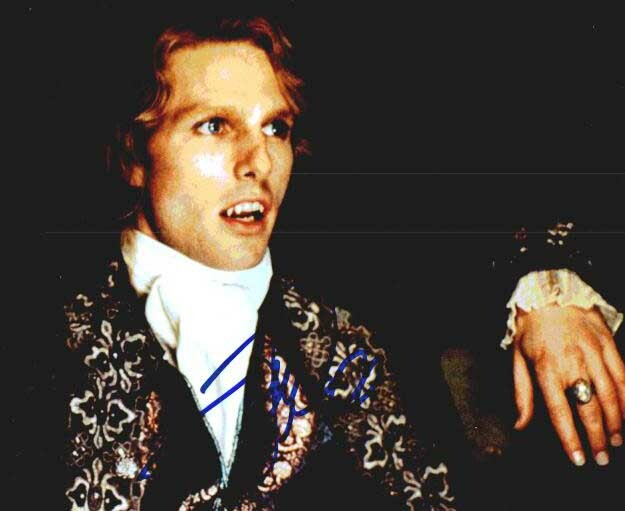 Apparently vampires don't scan much better than they reflect in mirrors! 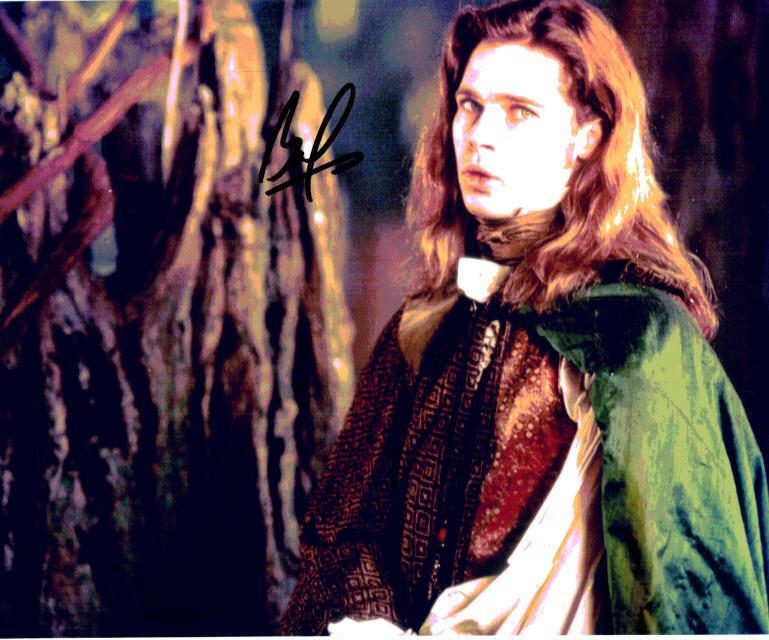 Brad Pitt from Interview with the Vampire. A purchased autograph. Here I am with astronaut/moonwalker Alan Bean in March 2001 in Kansas City, KS.